Should You Choose Metal or Spray Foam (SPF) for Your Commercial Roof? Our customers are usually trying to choose between several roofing systems when deciding the type of roof to install on their commercial property. A couple of questions they usually want answered is which one will be best long-term, what are the costs involved with each and what are the maintenance requirements for them. Here at Armadillo Roofing & Exteriors, we want to make sure our customers have all the information they need before making their decision. Here, we’ll discuss the pluses and minuses of 2 of the more common choices for commercial roofing – metal or SPF (Spray Polyurethane Foam). Commercial Metal Roofing – This is one of the older commercial roofing systems available. 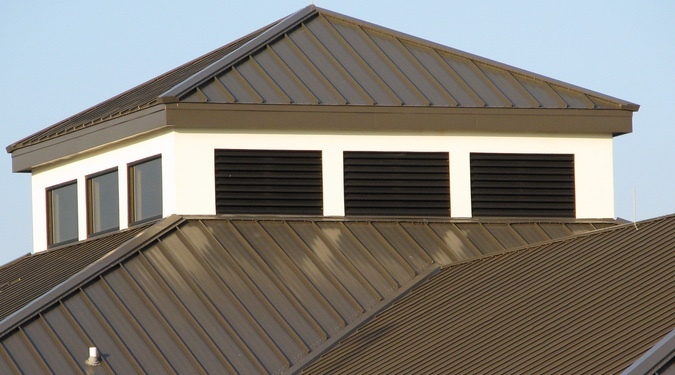 There are several material options available with metal roofing – tin. aluminum, copper and corrugated galvanized steel are most common. After its installed, in order to protect it from the weather, the sun’s rays and moisture, a coating is applied. 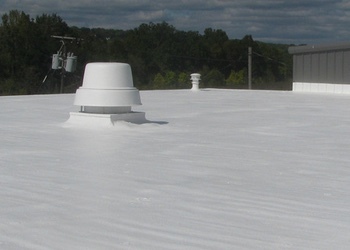 Spray Polyurethane Foam Roofing – Spray Polyurethane Foam, or SPF, creates a solid layer on top of your existing roof by being sprayed on and expanding into a foam that fills all crevices in the roof. Commercial, industrial, and even residential properties have been using SPF technology on their roofs since the sixties. Metal Roofing Systems – Material and labor for a commercial metal roof will usually run around $5 and $10 a square foot. This could change depending on the style of metal panels chosen and the unique configurations of your roof. SPF Roofing Systems – SPF roofing for an average commercial roof will typically run between $4 and $7 per square foot for labor and materials. This could change, again, based on your roof’s particular configuration and the thickness of the foam layers you choose. Metal Roofing Systems – Metal roofing is lighter in weight than other types of roofing systems, which allows it to be installed directly atop your existing roof. To fasten the panels, your chosen commercial roofing contractor will first install a frame (substrate) including trusses and purlins. Then, a layer of insulation is installed underneath the panels. Next, using screws, the metal panels are cut and attached to the frame. The insulation underneath is covered by the overlapping edges of the panels. Lastly, on the joints of the roof, flashings are installed. SPF Roofing Systems – The first step in installing an SPF Foam Roofing System is prepping your current roof. All contaminants, including dust and dirt, will be removed from the substrate instead of stripping the existing materials. Then, your contractor will put down the first layer of polyurethane foam. A couple of different liquids are combined then sprayed on. The chemical reaction of these two liquids creates the foam that forms on the existing roof substrate. As it’s sprayed on, it expands and fills all the nooks and crannies of the existing roof. After the SPF layers have been sprayed on, its finished off by applying an elastomeric coating with granules embedded in it for an added layer of protection from the elements. Design Choices – There are many different colors and materials to choose from. Stable – Metal roofing holds up very well to extreme weather like high winds, heavy rain and snow. Ecologically friendly – Metal roofing panels are usually made from recycled metal materials. Resistant to Fire – If you property has a fire, the metal panels won’t burn. Energy Efficiency – SPF delivers a high R-value because of the way the material provides barriers from water, air and thermal elements. Durability – It has less cracks and splitting due to its ability to contract and expand with your building’s structure. Seamless Moisture Barrier – There are no seams or joints on an SPF roof, so it does a great job of keeping moisture out of your property. Eco-Friendly – You won’t be tearing off your old roof materials, as SPF can be sprayed right over them, meaning less waste for landfills and no expense for tearing it off. Damage from Moisture – Rusting can occur if the coating gets compromised and water ponds on the roof panels. Full Replacement – Many times, it’s difficult to work with the substrate or frame. They will many times be the need to completely tear them off. There are Seams – Since its installed in panels, the seams between them can be prone to moisture penetration. Durability – If not installed properly, when your structure expands or contracts the panels can come loose. Sound – If not insulated well, the materials can create a lot of noise during heavy rain, wind or hail. Needs the Right Contractor – You need a commercial roofing contractor that has experience in this unique process to apply it correctly. Installation Timing Restrictions – You won’t be able to install an SPF roof when the weather doesn’t cooperate. Not if its too cold or windy or raining. Overspray Problems – You’ll need to protect your surrounding personal property and vehicles from overspray, since it can be carried away while being sprayed by slight winds. Color Limits – White or Gray are pretty much the only options for the silicone coating applied on top. Higher Maintenance – You’ll need to have your SPF roofing system inspected a couple of times each year. Choosing which one of these excellent commercial roofing choices will come down to your and your building’s unique circumstances – the building’s configuration and your company’s budget. Armadillo Roofing & Exteriors installs sustainable and efficient roofing systems for commercial, industrial, manufacturing and municipal buildings. 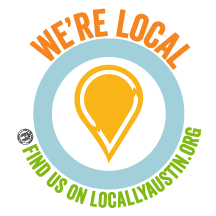 For almost 20 years we’ve been installing commercial roofing systems to all types of buildings in and around the Austin area. If you are looking for maintenance, repair or replacement for your facilities roof, fill out our quote form for your free no-obligation commercial roof quote from our team of experts.